When I received the generous gift of an iPad Mini for my birthday last month, I thought a lot about how owning the state-of-the-art tablet would enhance my day-to-day life. I was excited to set up the device, personalize it, and start using it for all it’s various, well, uses. But at the thought of taking it out of its sleek packaging and then out of my apartment and into the world, I was struck with a sense of panic. I had no iPad Mini case to protect this gorgeous piece of machinery from the various perils of New York City! Bear Motion ($16) doesn’t protect the iPad Mini’s edges; Moko Slim Fit ($18) is shoddy; Belkin Quilted ($26) and i-Blason Leather ($20) are bulky; Snugg Leather ($25) is actually polyurethane leather (which is not “real” leather, as advertised); Photive Smart Cover ($18) has an ugly “Photive” logo on the cover; Acase Folio ($13) is hard to prop up to watch video; Finite Degrees ($10) and Poetic Slimline ($11) are flimsy; SupCase Leather ($14) has a chemical-y odor to it; Belkin Striped ($31) doesn’t close properly because its magnets are weak; Speck iGuy ($23) just looks ridiculous (that’s not actually in the review…just see below). After two separate research sessions, I finally found a winner from a company called Devicewear ($27). Of its 260 reviews, 242 were five stars, with just two one- or two-star reviews. If it had a drawback, per the reviews, it was that it was not going to protect the iPad Mini from a serious drop (but then, how many cases would?). Other than that, it fit my price point and seemed OK looking. (If it turns out to be uglier than in its pictures, I’ll just cover it with Garbage Pail Kids stickers or something.) Once I receive it and use it for a week or two, I’ll report back on Amazon with a review of my own. Thinking now about having to sift through so many reviews to find one common theme for each product (e.g. “shoddy” or “doesn’t protect the edges”), perhaps Amazon would consider showing suggested keywords or phrases that appear most often in each product’s reviews. Mr. Bezos: Call me. I realize I could have expanded my search to cases well over my $30 cut-off, but I’m simply not willing to pay that much for a case. My assumption, correct or not, was that spending another $10 or $20 on a case wouldn’t offer more protection or practical functionality, only more bells and whistles or a sleeker look, which I didn’t care about. The case that Apple makes got surprisingly poor reviews and was almost $40, so I ruled it out. I bought a great Amazon Kindle case for just over $30 from M-Edge. I even reread the reviews of that case to see if I was making too much of the iPad Mini cover reviews. It was rated as well as I remembered it with the only drawback being bulkiness, which I didn’t mind after breaking my first Kindle’s screen a week after receiving it. 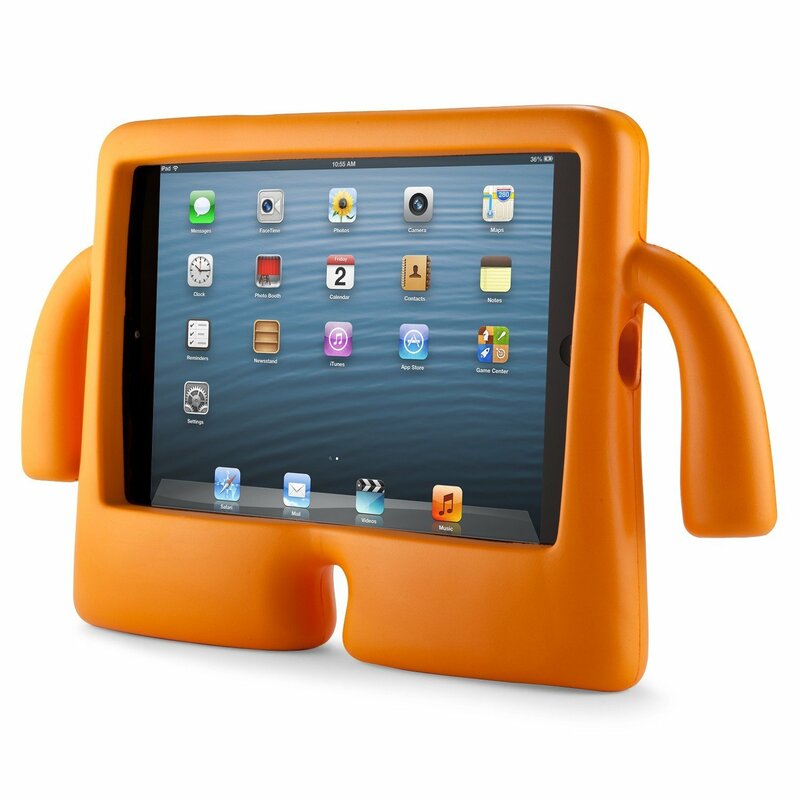 However M-Edge’s selection of iPad Mini cases was expensive and not particularly well-reviewed, so I moved on. I clicked on some of the reviewers profiles to make sure they’d reviewed other things. I know sometimes companies are sneaky and place “false positive” reviews on their product page. This didn’t seem to be the case on any of the reviewers I investigated. I also factored the number of reviews into my evaluation process. From a statistical standpoint, I realize that someone might rather a product with a slightly lower score across 1,000 reviews than a much higher score across, say 25 reviews. But I found that most products I viewed had a robust enough sample size of reviews (at least 200) to make it a non-issue. The Snugg Leather (the “fake leather” one) had a four-star average rating, like the others, across over 3,100 reviews–far more than any of the other products I looked at. I considered letting the higher number of reviews be my tiebreaker, but that’s like choosing to eat at a restaurant simply because it’s full of diners (or not choosing a restaurant because it’s empty). Sales volume is not necessarily the best indicator of quality. If you don’t believe me, watch any highly-rated reality TV show.